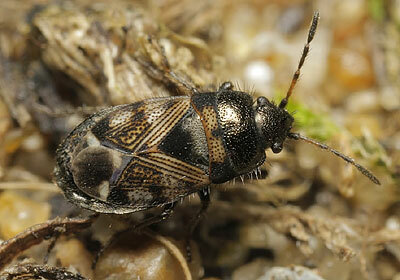 A small and attractively-marked ground bug which is covered in bristly dark hairs. 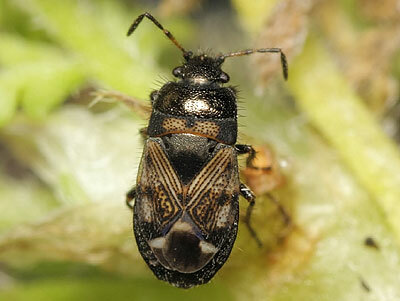 There is a white mark on the wing membrane and the 2nd antennal segment is largely pale. 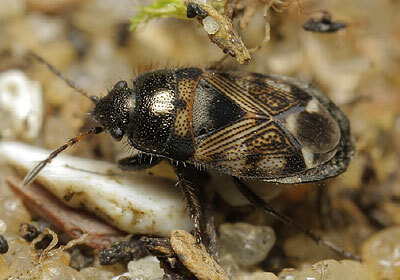 A very scarce species with recent records from sites in Kent and south Wales, where the bug occurs in sand dunes and forms small colonies which are easily overlooked. It has been found in association with several plants, including common storksbill Erodium cicutarium and little mouse-ear Cerastium semidecandrum.